Avoiding OSHA fines not only helps the bottom line, it also increases safety. Nobody wants costly fines and hurt employees. 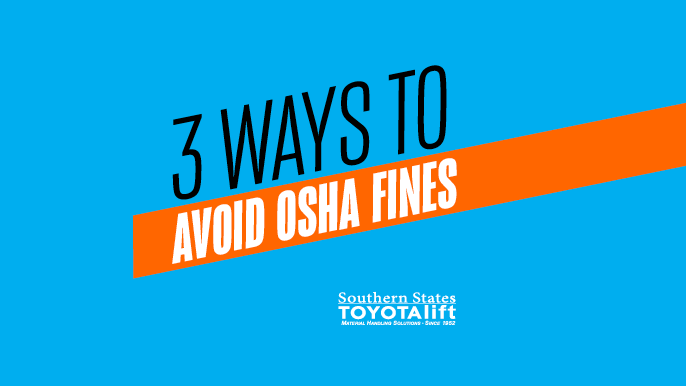 We encourage you to keep reading to learn 3 ways you can avoid OSHA fines. New rules now in effect have increased the fine to $12,600. When it comes to willful and repeat violations, penalties have gone up from $70,000 to $126,000 per violation. For small or medium sized business, it could spell the end. Develop a culture where employees are encouraged to speak up, without fear of retribution, about potential safety hazards and concerns. For example, employees in health, safety or construction, are often the ones in the field and on the ground, and may see things management doesn’t. Stay on top of current regulations and workplace inspections by leaning on mobile technology, which can help reduce the amount of dollars and time spent on outdated processes and inefficient paperwork. Using a mobile app for workplace inspections provides teams with the tools and information they need at their fingertips. By developing a plan early, everyone, from management to employees, is prepared when the time comes for an inspection. Just like practicing for a fire drill in school, when everyone is better informed and well-prepared to go through an inspection, nerves are calmed, employees are equipped and inspections are organized. Robins, James. “Top Three Ways to Avoid Increased OSHA Fines.” EHS Today. N.p., 20 July 2016. Web. 11 Aug. 2016.